Playboi Carti and Offset have collaborated a couple of times in the past but fans have been looking forward to a song that was previewed on Instagram a few weeks ago. Today, the track in question called ‘Bouldercrest’ aka ‘Piru’ has surfaced online from unknown origins. It is not confirmed where this will appear and even though the quality is a little rough, it still sounds pretty good. 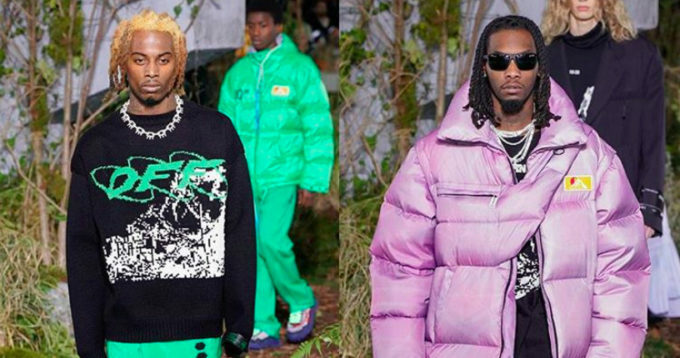 The two rappers recently took part in Virgil Abloh’s Off-White Fall ’19 runway show as models at the Paris Fashion Week. Listen to the new track below.